UPDATE: Trial Boom: People v. Booth is now CLE accredited in 4 states – California, Colorado, Florida, & Illinois for 8 general CLE + 2 Ethics CLE. For the CLE version of Trial Boom, we provide you with the ability to generate a CLE certificate that shows how much progress you have made, as well as how many credits you have earned. This certificate has a unique identifier code associated with it, so state CLE providers can verify the veracity of the certificates. More information about generating the CLE certificates will be published soon. Each completed Exam in the case (People v. Booth) is worth 1 CLE credit. If you complete all 8 exams, you will earn 8 CLE credits. Each completed module in Ethics Boom is worth 1/3 Ethics CLE credits. If you complete all 6 modules, you will earn 2 Ethics CLE credits. Accredited for 10 participatory CLE credits, including 2 Ethics CLE for completion of Ethics Boom Vol. 1. For information about California CLE, please visit the California Bar CLE Homepage. Accredited for 10 home-study CLE credits, including 2 Ethics CLE for completion of Ethics Boom Vol. 1. For more information about Colorado CLE, please visit the Colorado Bar CLE Homepage. Accredited for 10 CLE credits, including 2 Ethics CLE for completion of Ethics Boom Vol. 1. For more information about Florida CLE, please visit the Florida Bar CLE Homepage. Accredited for 10 CLE credits, including 2 Professional Responsibility (legal ethics) CLE credits for completion of Ethics Boom Vol. 1. For more information about Illinois CLE, please visit the Illinois Bar CLE Homepage. For any questions or concerns regarding CLE accreditation of Trial Boom, please contact us at contact@trialboom.com or call our main line at 1-888-585-BOOM. Version 1.1 is here! After listening to your feedback over the past several weeks since we launched Version 1.0 of Trial Boom, we’ve made some updates to Trial Boom for Version 1.1. First and foremost, the release of Version 1.1 comes with a FREE Demo. Before you decide to purchase the full version of Trial Boom, you now have the opportunity to test out a free demo of Case #1: The People v. John Wilkes Booth. You can play through the first portion of the Direct Examination of Mary Todd Lincoln from both the prosecution and defense perspectives to get a feel for the game mechanics behind Trial Boom. If you’re not a current “Trial Boomer,” please check out our Free Demo! 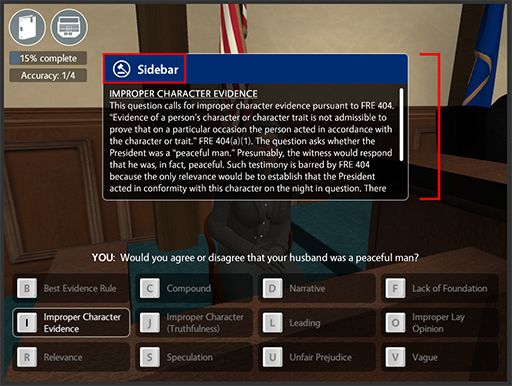 We also made a major update to the legal content in Version 1.1, specifically to the “Sidebars.” For those who have yet to download and play Trial Boom, the “Sidebars” are question- and answer-specific explanations that explain why certain objection bases are proper or improper. Version 1.0 included a generous amount of Sidebar explanations, but with the release of Version 1.1, we now have almost 100% of Case #1 covered with Sidebar explanations. What this means for you is that if you are ever wondering why a certain objection was overruled or sustained, you can count on having a Sidebar explanation available for that question or answer. At Trial Boom, we are constantly working to improve the educational value of our software, and by expanding the Sidebars, we are hoping to bring our users more clarity and access to more materials that explain the rationale behind the judge’s rulings. Our Dev Team also squashed some lingering bugs from Version 1.0, so the animations, graphics, and gameplay are a bit smoother and bug-free in Version 1.1. We’re excited about the release of Version 1.1, but we’re even more excited for what’s to come in the next release of Trial Boom! To stay up-to-date on all the latest and greatest Trial Boom news, please subscribe to our newsletter. As always, if you have any questions or comments about Trial Boom in general or Version 1.1, feel free to leave a comment below or drop us a note at contact@trialboom.com. Trial Boom’s first case is based on the fictitious 1st-degree murder trial of John Wilkes Booth. What if J.W. Booth was captured and put on trial for the 1865 assassination of President Abraham Lincoln? President Lincoln’s assassination was one of America’s most tragic events, and the horrors of the night of April 14, 1865, still echo throughout our souls and this country. The creation of The People v. John Wilkes Booth is by no means an attempt to exonerate Booth for this horrific murder. However, conspiracy theories and discrepancies between what actually occurred and what we actually choose to believe make for interesting and highly educational courtroom presentations. As the creators of this case, we obviously intend no disrespect to the families, loved ones, and patriots who were affected and continue to be affected by the murder of President Lincoln. Indeed, the exact opposite is intended. After going through this case, we hope that lawyers, academics, students, and others alike will be inspired to research the life and legacy of our beloved 16th U.S. President, as well as the tragic events surrounding his assassination on April 14, 1865. As President Lincoln once said, “Upon the subject of education . . . I can only say that I view it as the most important subject which we as people can be engaged in.” Enjoy! Meet the Trial Boom Content Team! The Trial Boom team is made up of highly talented software developers, seasoned trial attorneys, and law school professors. 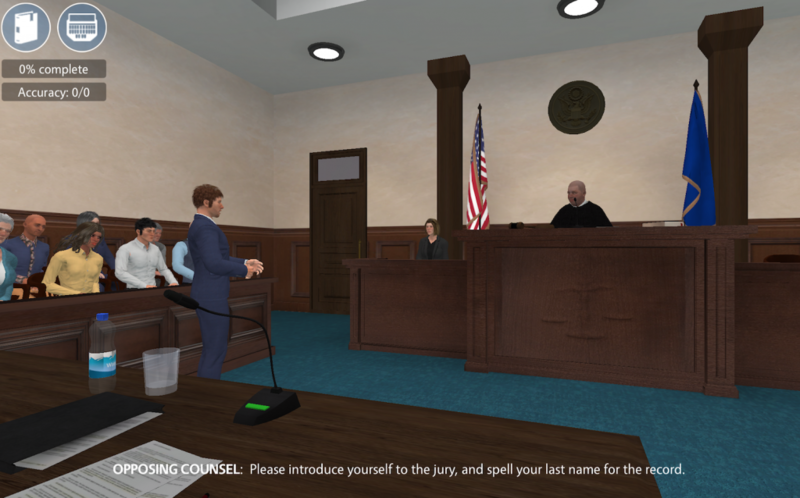 One of our core values is to embrace interdisciplinary collaboration and learning, and we do this by constantly harmonizing the tech and legal worlds to create powerful and entertaining products, like the Trial Boom courtroom simulator. Meet the veteran trial attorneys and law school professors behind all of the legal content below! Since July 2008, David Schott has served as a full-time faculty member, Professor of the Practice, and Director of the Center for Advocacy at the University of Denver Sturm College of Law. Under his leadership, the Center for Advocacy has risen to be consistently recognized and ranked as one of the Top 12 law school advocacy programs in the United States (per USNWR). In his capacity on the law school faculty, David has taught Evidence, Advanced Evidence, Trial Advocacy I, II and III courses, serves as the head coach for the law school’s National Trial Team, and has presented at numerous seminars, roundtables, and educational events. David is also the National Evidence Lecturer for Themis Bar Review. David graduated with Dean’s List Honors from Carnegie-Mellon University in Pittsburgh, Pennsylvania. David received his Juris Doctorate Degree with Moot Court Honors from the University of Pittsburgh School of Law. David practiced law as a full-time trial attorney from 1990 to 2009 during which time he presented 36 jury trials to verdict. David began his legal career in Cook County, Illinois (Chicago), where David completed a four-year tenure with the Cook County State’s Attorney’s Office. David then served as General Counsel for an international development company, where under David’s litigation management, the company prevailed in its $33 million prosecution of a contract and trademark infringement claims in Federal District Court. In 1997, David immigrated to Denver, Colorado where he opened his law practice. David continues to practice in an Of Counsel capacity to this day. David’s Federal and State Court practice has consisted of civil trial and domestic relations litigation. David has also served as business counsel, operations advisor, Board of Directors advisor, and trial/litigation counsel, to a range of entities. In 2005, before assuming a full-time faculty position at the University of Denver Sturm College of Law in 2009, David began serving on the Adjunct Faculty of the University of Denver Sturm College of Law. David has also served on the faculty of the National Institute for Trial Advocacy (NITA), the Constitutional Rights Foundation, the National Institute of Legal Education, and has taught management, ethics, and negotiation at the collegiate level. From 1999 to 2008, David served in a volunteer capacity as head coach for the Regis Jesuit and Bear Creek High School Mock Trial Teams. Brad Moloney is a deputy district attorney for the First Judicial District Attorney’s Office of Colorado, where he has litigated thousands of cases and presented dozens of jury trials. Since 2016, Brad has served as a member of the training committee for the Colorado District Attorneys’ Council (CDAC). He frequently provides CLE accredited presentations for CDAC on topics including evidence, objections, voir dire, ethics, mental health defenses, as well as trial strategy and practice. Since 2012, Brad has served as an adjunct faculty member at the University of Denver Sturm College of law, where he teaches in the areas of trial practice and evidence. Additionally, he is a frequent guest speaker at the law school on trial practice and related topics. Since 2013, Brad has served as an adjunct instructor at the Red Rocks Community College, where he provides legal education to law enforcement recruits. Brad attended law school at the University of Denver Sturm College of Law, where he served as president of the Student Bar Association and was a member of the National Trial Team. He graduated Order of St. Ives in 2008. Diana Sada is a trial attorney who works for the 18th Judicial District Attorney’s Office as a Deputy District Attorney. Prior to becoming a prosecutor, Diana focused exclusively on complex civil litigation including construction defect and eminent domain. She also handled various employment and family law matters during her tenure as a civil practitioner, making her well-versed in multiple areas of the practice of law. Diana earned her Bachelor of Science degree with honors from Rollins College, a liberal arts school in Winter Park, Florida. She then went on to earn her Juris Doctorate from the University of Denver, Sturm College of Law where she was named the law school’s “Best Advocate” as she earned the Championship in Denver Law’s crown jewel trial advocacy tournament, the Hoffman Cup. Since the inception of her legal career, Diana has been passionate about trial work and has aggressively pursued that realm of law, both in the civil and criminal worlds. Her passion translated into becoming a mentor and an adjunct faculty member at the University of Denver Sturm College of Law when she began teaching Advanced Trial Advocacy and related courses. Diana also co-directed multiple advocacy tournaments where she hosted and taught law students basic and advanced evidence and various trial advocacy related concepts and skills. Her passion towards teaching led her to focus almost exclusively on educating and organizing programs at the law school for a period of time in her career when she also organized multiple CLE events for local practitioners. Diana is licensed in the States of Colorado and Florida and in the United States District Courts of Colorado, Middle District of Florida, and Southern District of Florida. Trial Boom® is a legal software company with a mission to deliver the highest-quality educational and legal tools to help you improve your trial advocacy skills, master the rules of evidence, and transform the average litigator into a Trial Pro. 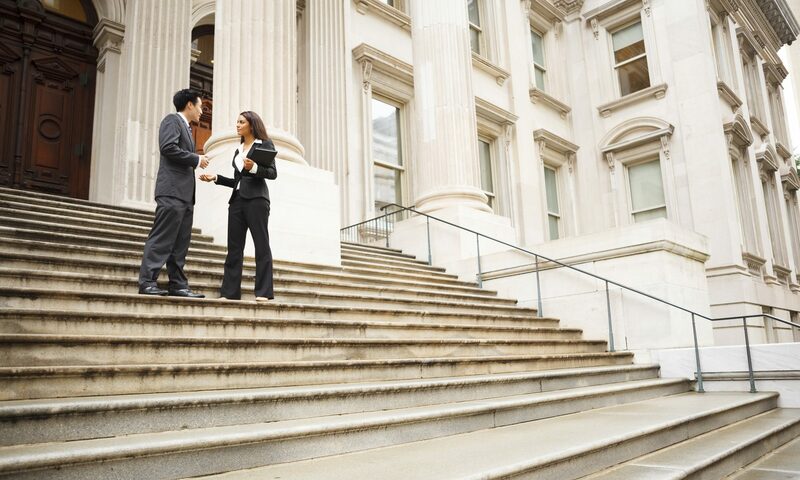 We empower attorneys to become unparalleled advocates in the courtroom, and as a result, they are able to bring greater access to justice around the world. The Trial Boom team is made up of highly talented software developers, seasoned trial attorneys, and law school professors. One of our core values is to embrace interdisciplinary collaboration and learning, and we do this by constantly harmonizing the tech and legal worlds to create powerful and entertaining products. Trial Boom’s mission is to not only take your advocacy skills to the next level, but to also transform how you prepare for trial. Boom.